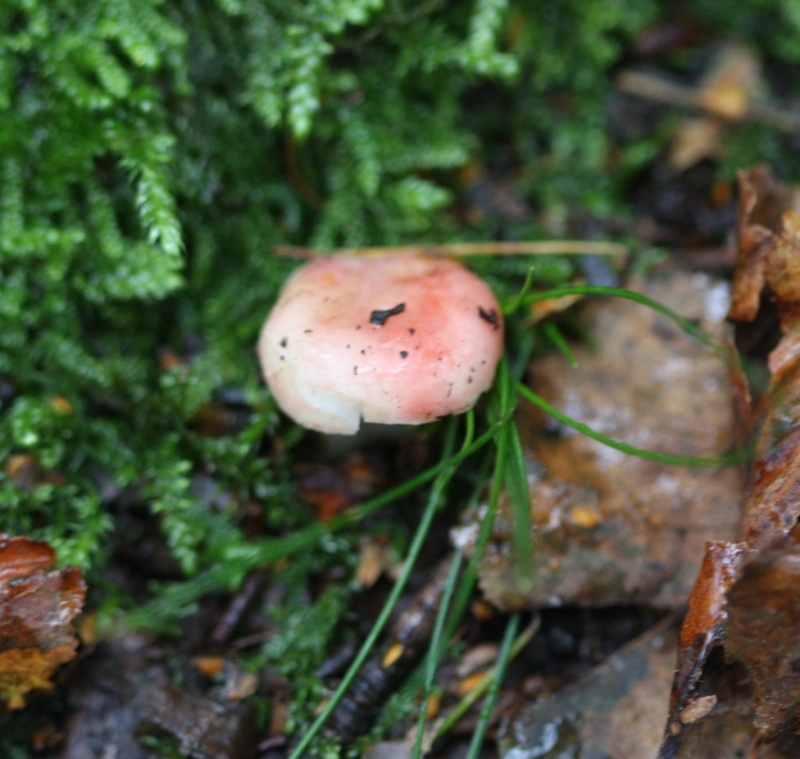 It is a small deicate species, seldom more than about 4 cm diameter and it is bright pink, soon developing white patches, and often ending up pure white. The flesh tastes very hot and a sure-fire test is to peel the cap skin carefully when it comes off complete you are looking at Russula betularum. The stem is typically longer than the diameter of the cap. The gills are white and well spaced. Usually found with Birch trees and often grows in damp places in woodland. Appears in summer and early autumn.